Now browsing the archives for the 'English Posts' category. The Japanese version is also available at modest. Recently Mozilla Labs Jetpack site was updated and Jetpack Reboot was finally revealed to the public. However, not a few people might think that “What’s Jetpack Reboot? How does it differ from the old Jetpack?”. 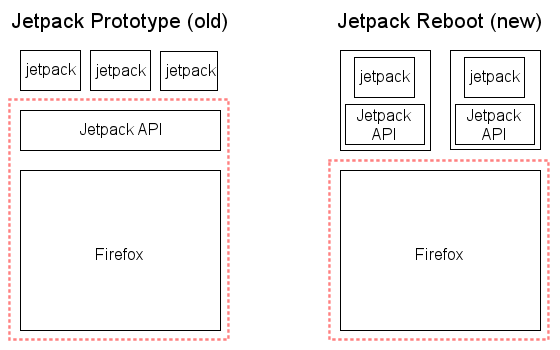 Briefly speaking, the old Jetpack (Jetpack Prototype) which has being developed as a Firefox extension, will disappear in the near future, and now it is being replaced to the new Jetpack (Jetpack Reboot) as a brand-new SDK to build new type of extensions. This post explains the difference between Jetpack Prototype and Jetpack Reboot with three points of view: concepts, architecture and development. See the image below which describes the architecture of both types of Jetpack. In Jetpack Prototype, you need to install Jetpack “extension” which consists of a runtime and API library, and each small program called Jetpack Feature works on Jetpack extension. 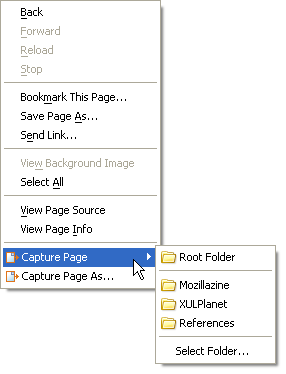 There seemed to be a plan to integrate Jetpack extension into Firefox. However, it may cause a problem that the integration prevents the agile development of the evolving API library. Additionally, since all features share one API library, it may cause a compatibility problem if each feature uses a different version of API. Meanwhile in Jetpack Reboot, Firefox doesn’t hold the API related to Jetpack, and each feature becomes a package including the API and bootloader. This architecture enables the agile API development and the API included in each package are not interfered even if they have differing versions. 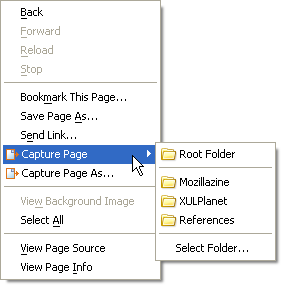 We can distribute the package as an XPI installer same as the existing XUL-based extension. So, we can install and uninstall it in a same way of the existing extension. 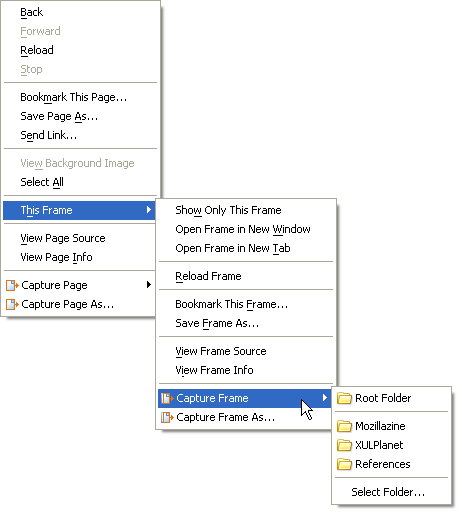 Additionally, in the future the Firefox extensions manager will be improved so that we will be able to install and uninstall the packages which have Jetpack bootloader without restarting Firefox. Note that the current SDK doesn’t have rich API to build working extensions like Jetpack Features, since it is in an early stage. 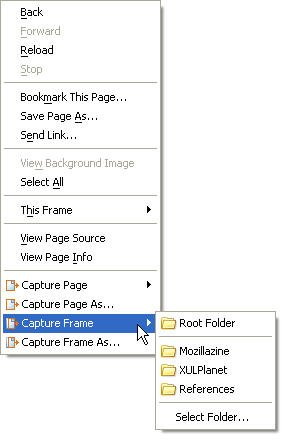 I will post a step-by-step tutorial to make a package utilizing the SDK on Windows 7 before too long.